Adobe Flash 11 Released, Ready for Download - OMG! Ubuntu! 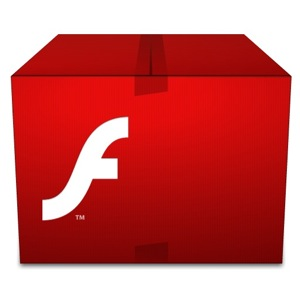 The�latest�’stable’ (stop�chuckling�at the back) version of Adobe’s Flash Player has been released. Adobe Flash 11 adds native 64-bit support, NVidia VDPAU and Broadcom Crystal HD acceleration, as well as a slew�of technical features�for web developers and flash programmers to take advantage of. Also debuting is Adobe’s Stage 3D technology which, Adobe claim, lets ‘developers …deliver cinematic,�console-quality games�both in browsers and in apps‘. Adobe Flash Player 11 – including the native 64bit build – can also be installed from the Canonical Partner Repo in Ubuntu 11.04 and 11.10. 64bit Ubuntu Hardy through Oneiric�users may prefer to upgrade/install using the�unofficial Flash�PPA maintained by SevenMachine. To do this add�ppa:sevenmachines/flash�to your Software Sources (See here), update and then install the ‘flashplugin64-installer’�package from Synaptic or the Ubuntu Software Centre.